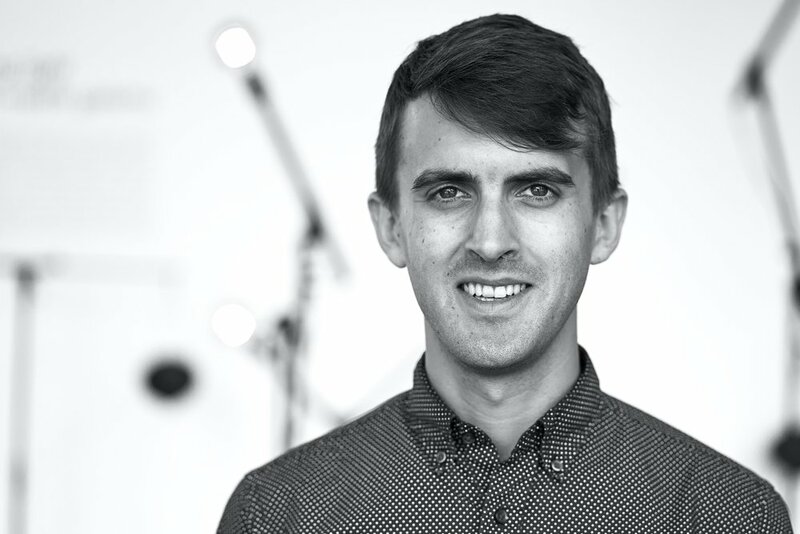 Sam Wells is a composer, performer, and music technologist based in New York City. As an advocate for new and exciting music, he actively commissions and performs contemporary works. Sam has performed throughout North America and Europe, as well as in China. He is a recipient of a 2016 Jerome Fund for New Music award, and his work, stringstrung, is the winner of the 2016 Miami International Guitar Festival Composition Competition. He has performed electroacoustic works for trumpet and presented his own music at the Bang on a Can Summer Festival, Chosen Vale International Trumpet Seminar, Electronic Music Midwest, Electroacoustic Barn Dance, NYCEMF, N_SEME, and SEAMUS festivals. Sam and his music have also been featured by the Kansas City Electronic Music and Arts Alliance (KcEMA) and Fulcrum Point Discoveries. He has also been a guest artist/composer at universities throughout North America. Sam is a member of Arcus Collective, Kludge, and SPLICE Ensemble. Sam has performed with Contemporaneous, Metropolis Ensemble, TILT Brass, the Lucerne Festival Academy Orchestra, and the Colorado MahlerFest Orchestra. Sam has recorded on the SEAMUS and Ravello Recordings labels. Sam has degrees in both performance and composition at the University of Missouri-Kansas City, and graduate degrees in Trumpet Performance and Computer Music Composition at Indiana University. He is on faculty at SPLICE Institute and Molloy College.